Every year, more and more consumers choose leasing as the way to pay for their new vehicle. Leasing isn’t for everyone, but it has the potential to be one of the best financial decisions you make as a car buyer. 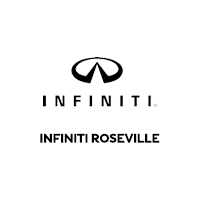 The INFINITI Roseville Leasing Question guide is here to help answer all of those questions and explain the different terms and parts of an INFINITI lease. When you lease an INFINITI, you will have lower monthly payments. It’s easy to trade in for a new car every two or three years. You can afford to drive the newer INFINITI models. You won’t drive the same INFINITI as everyone else. If you own your car, you can personalize it any way you would like. Buying a car is more economical in the long run. You can drive as much as you want without a mileage penalty. There is a certain pride of owning an INFINITI. Are There Downsides To No-Money-Down Leasing? No-money-down leases are great for someone who wants to drive a new car, truck, or SUV without a big payment upfront, but they might not be your best option. When you make a down payment on a traditional lease, this lowers the total amount of money on the lease and decreases your monthly payment amount. Think of it like this: make a larger down payment now and you will decrease your monthly payments. Put no money down upfront and you will pay a little bit more every month. If you really want to save money on leasing a INFINITI, negotiate a price in your budget from the beginning. Having the lowest price possible on a car will usually result in lower monthly payments.